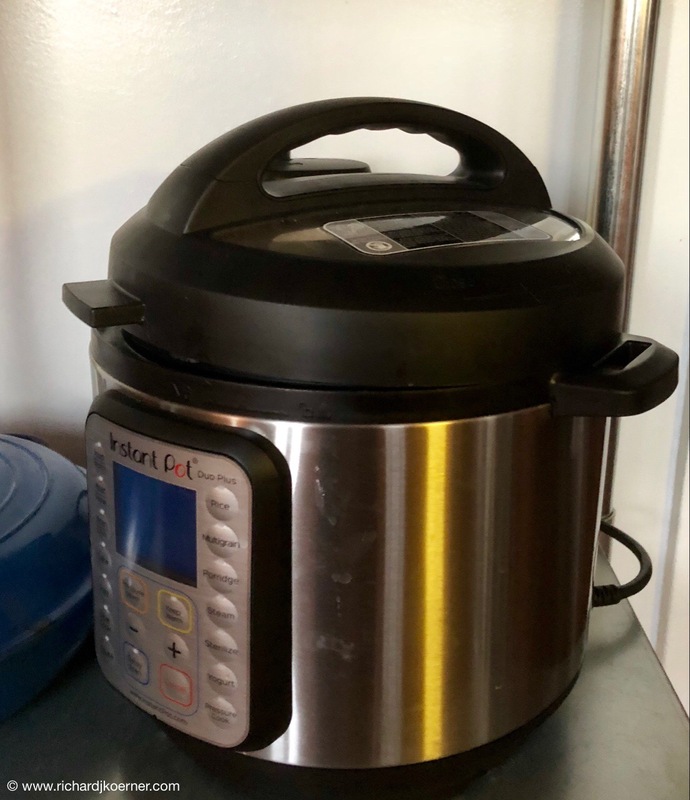 The Instant Pot is set to go and preparing rice for the canine member of this family. He has had stomach issues for the past few days, waking us up and making a mess here and there, which is not like him. Apparently dogs are not untouched by winter illnesses any more than we are. It is another crazy day, one in which I am not sure which side is up and which side is down. Our schedule changes every time I turn around and it didn’t help that my ‘Check Engine Light’ went on once again so we will be down to one car again. Surgery in the family wreaks havoc with all and MK just left to take care of the kids, even if it is minor. We are going to bring them back here later. I stayed home because we need to take care of Lucky, the new family dog. He and Stewart are currently outside playing. I am hoping that they get tired out so that I can bring them in and perhaps get them to take a snooze. At some point in time, we shall have the arrival of another granddaughter at our house and then we have to figure out whether or not one of has to go to her house to be there when her sister arrives. At this point, I am confused with the planning. I am not totally sure who I am or what I am to do next. Due to the work in the house, there are still things out of place and I have about one hundred travel books to reorganize and put back into a cherry secretary that we have in the bedroom that was redone. We have to figure out what we are doing there. Are we buying a sofa with a sleeper or are we just doing a new Queen size bed? That remains to be seen. Oh my, I will just sip my coffee and watch the dogs out of the window. This entry was posted in Cooking, Life in general, Thoughts and philosophy. Bookmark the permalink. I suggest you finish your coffee and go back to bed with the covers over your head! Mindy, you are right. I wish I could go back to bed, but I am not good at doing that. Maybe I should try again!